TRABUCCO- WE’VE MOVED ON FROM LAST WEEK! 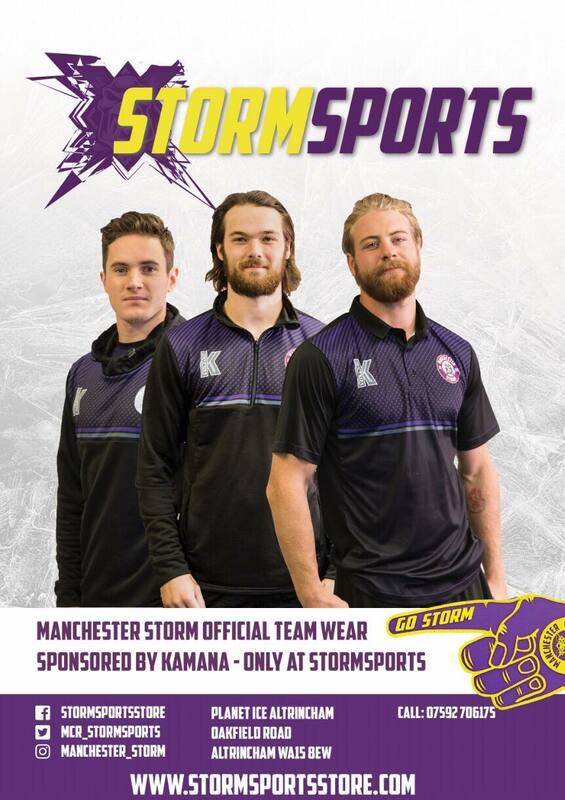 TICKETS: The Go Goodwin’s Manchester Storm are back in action on Saturday the 25th February when they take on the Edinburgh Capitals. Faceoff is at 7 pm and tickets can be ordered online, by calling the box office on 0161 926 8782, or in person at the box office! 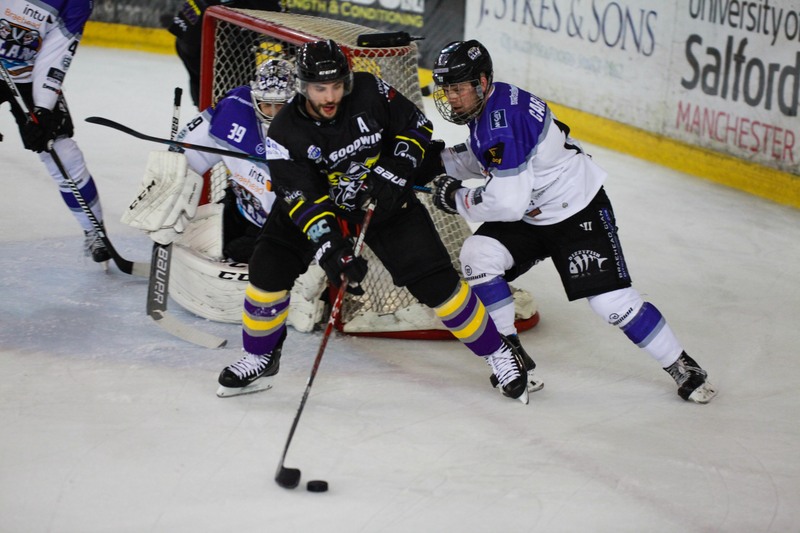 Manchester Storm forward Mario Valery-Trabucco insists the team have moved on from last week’s overtime disappointment with Sheffield Steelers. The controversial winner by Jace Coyle was the main talking point, but Storm are geared up for another big weekend, which sees Edinburgh Capitals come to Altrincham on Saturday. And Mario says it would be a good time for the team to go on a streak that would perhaps go some way to see them confirm their place in the play-offs. “To end that way after such excitement was tough to handle and we’ve moved past it as we’ve done in any other weekend of the year and our focus moves to the games this week,” Mario said. “Brad Rubachuk was pretty cool and our team was pumped up for the game. Getting the loss was tough, although we got the point and we should look at it as a good experience. “Hockey’s such a hot and cold game, you can go on a streak at any time, which is what we’re going to try and do starting on Saturday. “Our main focus from here on in is to make the play-offs and finish in as high as position as we can in the league and getting the wins we need. Storm are currently seventh, but only two points ahead of Dundee Stars in ninth as the race for the top eight gathers pace in the final few weeks. Saturday opponents, Edinburgh, are eight points adrift of the play-off spots and a defeat for them would cripple any flickering hopes of being involved. And Mario is taking nothing for granted when it comes to the Caps, despite having a superior record over them this season. He added: “We’re hoping to be the team that can put Edinburgh out of the play-off reckoning, but we know well enough each team can beat every one else. “For us, it’s about getting focussed and doing the preparation we need to do the job to help ourselves get into the play-off position for the rest of the season. Guilford Flames Join The Elite League in 2017/2018! Eric Neilson Pays A Visit to Wellington School!